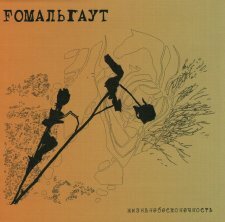 When I received the whole set of available MALS releases of the bands from Russia and neighbouring countries in autumn 2015, Fomalgaut from Tashkent in Uzbekistan was the group which first caught my attention. Probably because their album differs from all the progressive rock recordings of very most of the other bands. Let’s call it unexited, portato and varied guitar based classic rock combining catchy and dreamy melodies with heavy guitar riffs, Eastern rhythms and some extra spices like a sitar from time to time. Somehow it reminds me a bit to the music YU Grupa played in Yugoslavia during the Seventies. A band I definitely would like to listen more albums from.